When it comes to pregnancy, labor and delivery, there’s a general understanding that something might go other than planned. For most families, it’s a minor surprise, still resulting in a healthy mother and child. But even seemingly risk-free pregnancies sometimes involve serious circumstances, including premature births. 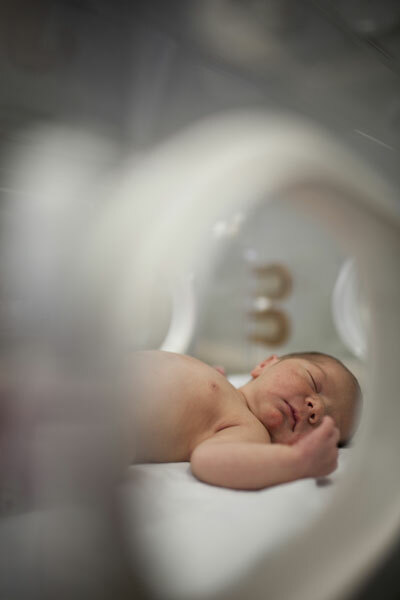 Prematurity refers to babies born before 37 weeks of gestation, a time when each day and each week are important for the baby’s growth and development. When that happens, the new dad, mom and baby are met with a host of unknowns. Some of these unknowns include complications. 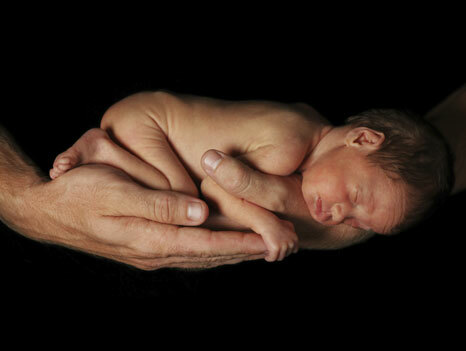 Each year, 15 million babies worldwide — more than 10 percent — are born preterm. Nearly 9,000 of these babies are born in Washington state, says Craig Rubens, M.D., Ph.D., cofounder and executive director of Global Alliance to Prevent Prematurity and Stillbirth (GAPPS). Data show that the preterm rates are increasing worldwide. GAPPS is trying to find the causes of preterm birth and ways to prevent it. In most cases, preterm birth happens spontaneously, according to Born Too Soon: The Global Action Report on Preterm Birth, which was released in 2012. Rubens encourages expectant mothers to ask questions and talk to their doctor about their potential risk factors — which can include smoking, stress and a previous preterm birth. To help decrease the risk of preterm birth, GAPPS recommends getting regular health care during pregnancy; talking to the doctor about all medications used, including over-the-counter ones; not smoking; managing stress; and being aware of conditions that may make it more likely to deliver early, such as a “short cervix,” a condition that could cause the cervix to open too early. When Seattle mom Jennifer Larson was put on hospitalized bed rest 28 weeks into her pregnancy in July 2011, she knew it was inevitable that her son, Leif—now a healthy toddler — would be born early due to placental abruption, a condition in which the placenta separates from the uterus wall before the baby is born. Larson had no option but to try to delay the birth as long as possible and to prepare herself and her family for what was to come. “We were able to tour the neonatal intensive care unit [NICU] while I was still pregnant, which was very hard, but helped me know what to expect,” says Larson, who continued to seek out resources and support through the remaining weeks of her pregnancy and well into the first year of her son’s life. Support from hospital staff and social workers can make a big difference to anxious parents. “All of these feelings — fear, loss, even anger and guilt — are very normal for new parents whose baby is born prematurely and/or very sick,” says Sowa-Crowder. Connecting with other parents of premature babies can help as well; some hospitals coordinate groups for parents, and many families connect in online forums. Remember that every baby is an individual — and that there’s a wide gap in the range of prematurity. The circumstances may look dramatically different between a baby born at 25 weeks and one born at 35, Sowa-Crowder points out. The range of potential complications varies widely, from increased susceptibility to infections to immature organs. Some babies have few complications and stay in the hospital for just a few weeks, while others may be hospitalized for months, hooked up to monitors or sleeping in incubators. She encourages parents to ask the nurse how much caregiving they can safely do, such as changing their baby’s diapers or moistening his or her chapped lips. Mothers who aren’t able to breastfeed at first may still be able to pump and provide breast milk. Parents can also ask about “kangaroo care” or skin-to-skin contact, which, Sowa-Crowder points out, has been shown to help NICU babies thrive. If the first weeks or months of your baby’s life take place at a hospital, you can still bring a little bit of home to her hospital room. Think of how you envisioned the early weeks after her birth and the things that you looked forward to, and consider how you might be able to modify them in the hospital setting. Your baby’s hospital room can become a home away from home, for example, by decorating it with things such as family photos, cards, mementos and washable toys, says Sowa-Crowder. Daytona Strong is a journalist who has written for a variety of local and national media. She lives in Seattle with her husband and son. Many families post online journals documenting their own journeys via CaringBridge, Facebook pages or blog sites. Daytona Strong is a journalist who has written for a variety of local and national media. She writes about food, family and her Scandinavian heritage at outside-oslo.com.